Learn downward dog from the masters themselves. 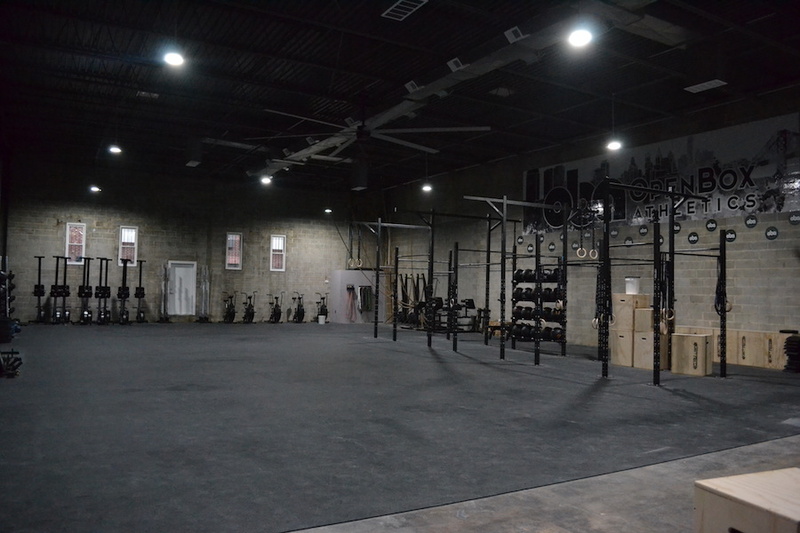 The CrossFit gym at OpenBox is 4,000 of the gym’s 6,000 square feet. Photograph courtesy OpenBox Athletics. Remember last month when we told you about this new (and huge!) cross fit gym — OpenBox Athletics — that landed in Graduate Hospital? Despite being the new kids on the bock, the studio has already teamed up with Morris Animal Refuge to make some moves in improving the lives of local animals. Together, OpenBox and the Morris Refuge will be co-hosting some seriously adorable (and super fuzzy) yoga sessions with some VIP guests — puppies! On Sunday, March 25, at the OpenBox gym (1931 Washington Avenue) there will be two sessions of puppy yoga; the first kicks off at 12:30 p.m. and the second starts at 2:30 p.m. Each session is an hour long and rings in at $25 per person. All of percent of the proceeds will go directly to the Morris Animal Refuge, which provides animal adoptions, low-cost spay and neuter programs, animal fostering, and more. There are only 50 spots for each sessions and, that being said, these puppy-filled yoga sessions typically sell out fast. So if you’re DTC (down to cuddle) — with puppies, while doing yoga — grab your spot here ASAP. As with most pop-up yoga sessions, come prepared with your own mat, towel, and water in tow.